Galveston Restaurant Group has brought the “art of great eating” to patrons since 1997. Created by Johnny Smecca, Joey Smecca and Danny Hart, they opened their first restaurant, Saltwater Grill, in 1998, located in the heart of the Galveston Arts & Entertainment District. Since then, they have been creating, prospering and selling restaurant concepts that deliver the best dining experiences on the Texas Gulf Coast. Taquilo’s Tex-Mex Cantina, recently named the island’s Best Margarita, Best Chips & Salsa, Best Chile con Queso and Best Bartender, is where you’ll find authentic Tex-Mex cuisine made with the freshest ingredients. See dishes made to order at the guacamole and ceviche bar. Pair the chicken, shrimp or certified angus beef fajitas with a specialty margarita in a fun, upbeat atmosphere or relax and enjoy the Postoffice Street vibe on the covered sidewalk patio. Papa’s Pizza has been voted “Galveston’s Best Delivered Pizza” and prides itself on living up to that reputation. It’s the pinch of love that we put into every dish that makes us the Island’s best gourmet pizza, Italian food, soups, sandwiches and more. Always fresh and always delicious. Orleans flair meet the beach. The Gumbo Diner offers southern breakfast staples, chicken & waffles, tasty burgers and the best Texas Gulf fried shrimp on the coast. The Gumbo Diner is now serving your favorite breakfast items all day! We’re a hit among both locals and visitors to the island. This soon-to-be Galveston legend is guaranteed to please anyone’s taste buds. Save room for our famous New Orleans-style beignets! Tucked away in the thick of Galveston’s seafood restaurants is Mario’s Seawall Italian Restaurant. Offering fun, romance and the tradition of Italy with a Texas-sized seaside view, Mario’s Seawall boasts delicate and delicious pastas, gourmet pizzas and more. Experience authentic Italian cuisine and service at its finest in Galveston’s oldest Italian restaurant. Few restaurants deliver the quality atmosphere and personal attention that Saltwater Grill serves up daily. Home of Galveston Restaurant Group’s original kettle cooking, Saltwater Grill offers an array of seafood dishes, cioppino, bouillabaisse, gumbo and more. Alongside Prime steaks from the grill, diners will find exciting dishes mixing Gulf Coast seafood with Asian fusion touches. 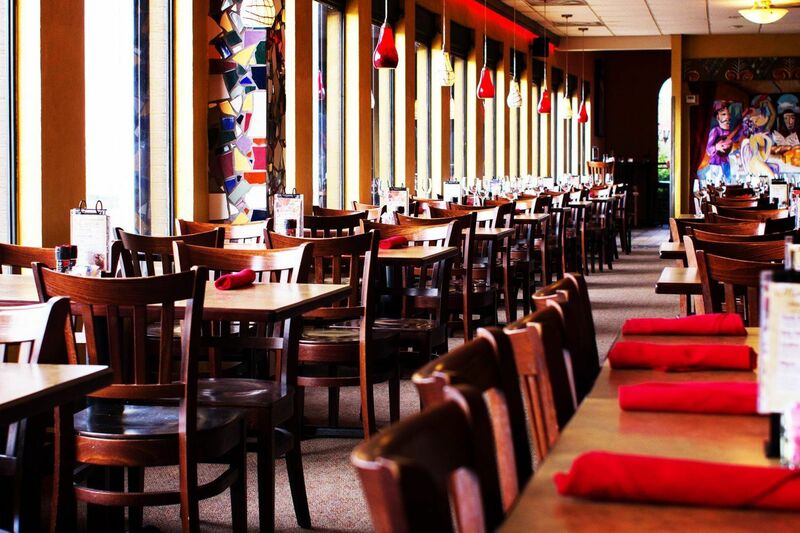 There’s a reason Galveston Island has a growing reputation for its impeccable dining and inviting nightlife – and it has everything to do with Saltwater Grill. Described as a “cross between San Francisco and New Orleans,” Gumbo Bar is the perfect place for a casual lunch or night out on the town. Diners can’t leave without trying a bowl of our award-winning gumbo prepared in steam kettles, the best seafood po-boys anywhere, or our New Orleans-style beignets! Headed north and need your gumbo fix? Try our second location, Little Daddy’s Gumbo Bar, located in League City, Texas. Sky Bar Steak & Sushi is where East meets West, setting the trend with a modern edge. Watch chefs prepare sushi combinations and sashimi at the sushi bar that turn into plates of art. Voted Galveston’s Best Happy Hour, Sky Bar’s atmosphere becomes fun and lively in the evening and is the place to go for happy hour, especially late night on Saturday evenings.